Home » Featured » Water Damage? Call Done Right Carpet & Restoration Inc.
Water Damage? Call Done Right Carpet & Restoration Inc. 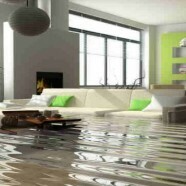 Does Water Damage Restoration in MN. Whether it’s a busted pipe, a severe storm or a flood; water damage is a huge headache that can use the help of a trained expert. Done Right Carpet Restoration Inc has been helping flood victims get their lives back on track since 1992.